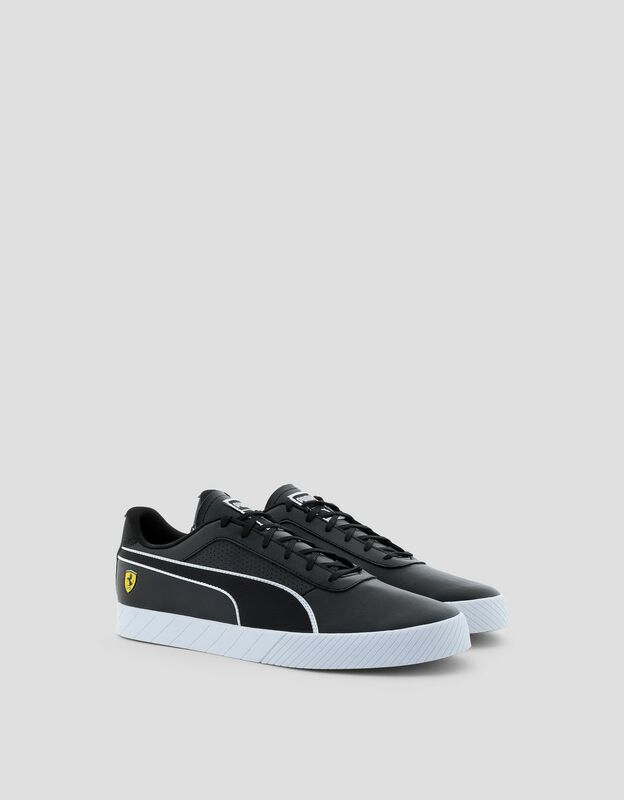 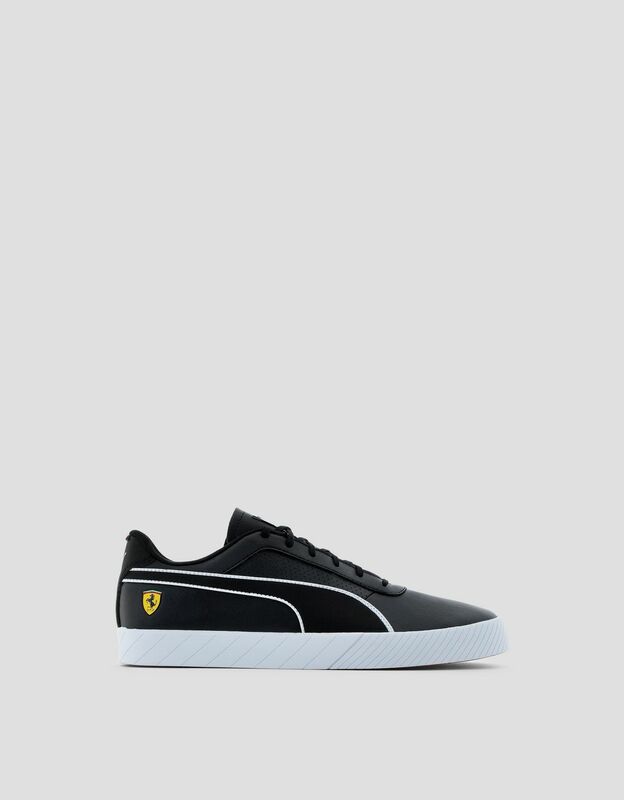 The rubber strip on the sole defines the original personality of the Puma x Scuderia Ferrari Vulc Track sneakers. 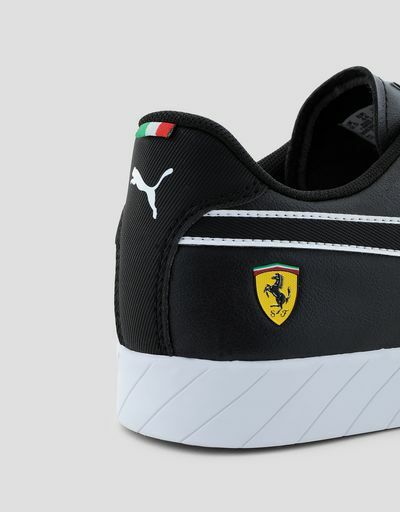 The new Scuderia Ferrari shoes have bold racing heritage, as can be seen in the rubber stripe on the sole, which evokes racecar tires. 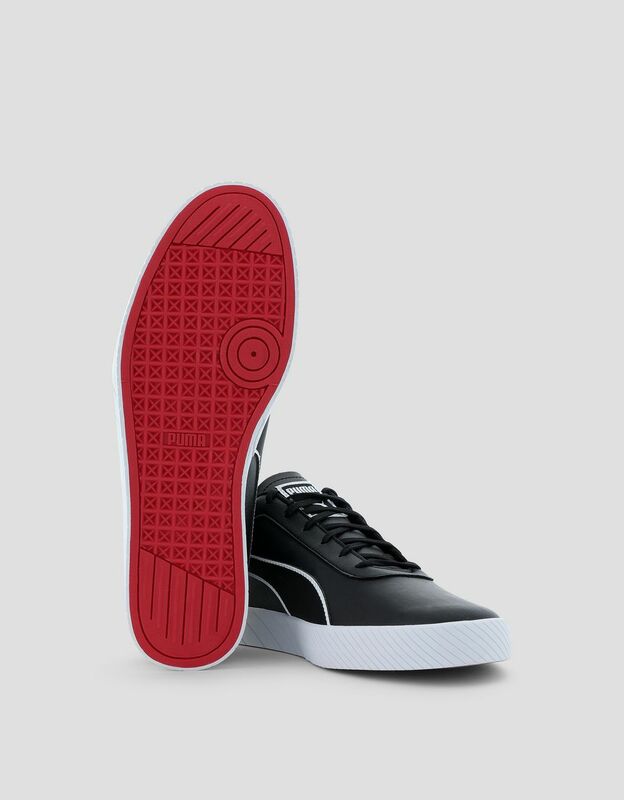 The Vulc Track sneaker is a new, modern take on the classic Derby shoe, which combines an athletic attitude with metropolitan taste. 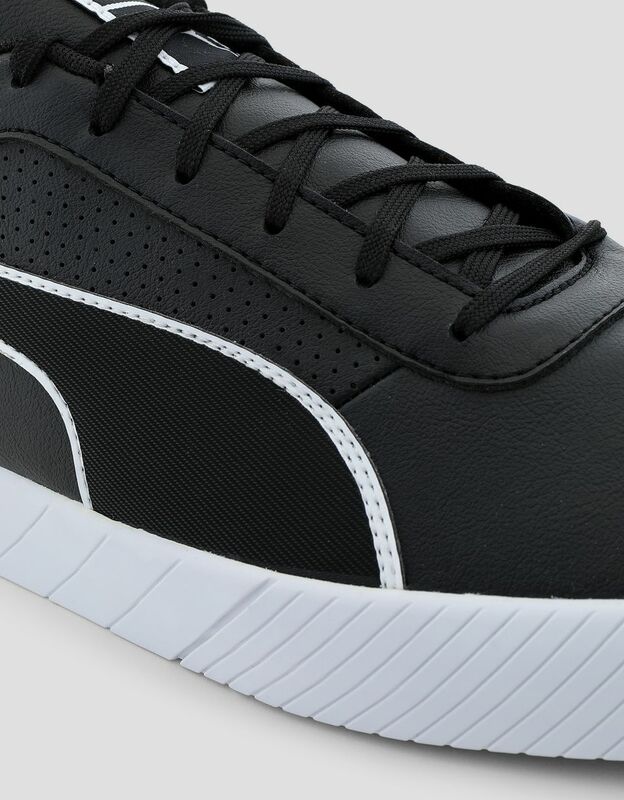 The synthetic upper is enriched with perforated detailing.